Hello, all! Man, it's been a while since I've posted anything useful on here! For those of you that are new or hadn't heard, I started an in-home preschool this year, and it has been nuts around here. I have not been this consumed with anything since...well...since I was a primary chorister! I am finally settling into the routine of things, but the first year is always the worst as you try to write/plan/supply/carry out/evaluate/change/celebrate all of the many things that we call "curriculum." What an adventure it has been! I have the cutest classes, though, and it has been a true answer to prayers for me and my family. Needless to say, I LOVE working with kids, and yes - we sing A LOT in preschool! I think the whole reason I had this calling in the first place, even though it wasn't for very long, was to give me the confidence to start teaching preschool. Isn't it funny how the Lord knows just what we need to push us in the right direction?! Anyhoo, I've been subbing primary music for the past few weeks in our ward. And OH MAH GOODNESS I forget how tired you get after church! Talk about a dog and pony show! I have to be in there again tomorrow - I wonder what I should do?! I've actually been searching my own archives for ideas...it's a good thing I wrote most of them down! All PDFs are uploaded to Google Drive. In order to access them you have to be logged in to a Google account. This means that you don't just have to have a gmail account, you have to be signed into it. If you are, you should not have any problems viewing the links. I have just spent several hours updated the links and checking to make sure they work from three different computers. They should all be working fine. However, some of you still won't be able to open them. If this is the case - please don't get frustrated, just email me. 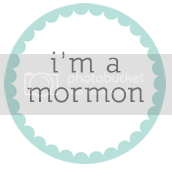 I love to help - that is why I started this blog in the first place. If you email me which files you need, I will try to get them to you ASAP. This might mean a couple of days - I am busy just like you. You can also leave a comment - just remember to leave me your email address. Okay? All good? Please let me know if I can help you at all. I'm still here, I promise! Ahhh, it's finally done! Amazing how you can never find a solid hour to get anything done! I'm sorry to those of you who have been nudging me ever so politely to get this schedule updated and posted. 1. In order to print it through Google Docs, you must be able to log into your Google account (aka gmail). If you log in, you won't have any problems downloading or printing any single thing on this blog. If you do not have a Google account, it's easy to create one. 3. In reference to the aforementioned "hectic" comment, I have opted to make the schedule generic - with no listed order for the songs like I've done in previous years. I went back and counted, and in 2013 I made over 70 versions of the schedule, with only a portion of those available on the blog. I would LOVE to help each of you make it work for your specific primary, but it's just not feasible this year. So, please don't be mad at me! Some of you might even like it better (I hope). I think that's it. Good luck with your new year! A very special welcome to all of the new choristers that have been called, as this is a popular time of year to make changes. You're going to LOVE this calling! And to all of you that are moving on to different assignments, wasn't this the most fun you've ever had?! Nothing will ever quite compare! Have a wonderful Christmas season, and an even better New Year! Love to you all!!!! I have spent the last 2 days in bed, sick with a horrific case of everything you can imagine. As usual, in my medicated state, my hallucinations involve primary music! So here's an idea that could be fun! My pretend version of the board for this activity. 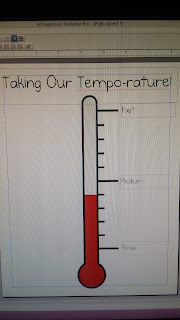 A poster with a thermometer drawn on it, or you can just draw it on the board. Either way. I'm going to use three of the program as an example. So I would have word strips with these titles on one side, and the tempo range on the other side. Then I would randomly select 3 different tempo ranges from other songs. Just make sure there are enough random ones to match up to the # of songs you are reviewing. Have a child come up and pick a song out of the one bag and a tempo range from the other. Set the metronome to that tempo, and sing the song. Some of them will be sung WAY faster than normal, others WAY slower, and some might actually work. Talk about the tempo, and how it can effect the feeling the music gives us when we sing it. You can even go into the words they use in the book (like fervently, prayerfully, playfully, with conviction, etc.) Look on the back of the title card and sing the song at the right tempo. 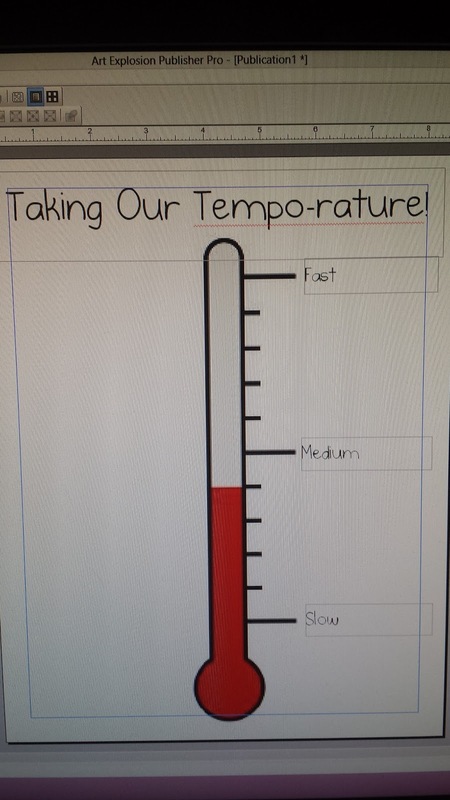 Place the title card on the thermometer where the group thinks it belongs - slow, medium, or fast. Which is our slowest song? Which is the fastest? Do we have more fast or slow songs in the program? Well, I don't know if that makes any sense, but hopefully you can piece it together if it doesn't. Did I mention I'm a walking pharmacy? Yep. Hope you all have a great week! Well, hi! Did you think I disappeared? If only! I've been working feverishly on getting the preschool up and running, and have even managed to squeeze in a couple of vacations. So far it's been a great summer! Here is an idea for you that takes literally ZERO preparation. I like to call it The Song Chain. And so on. Like I mentioned before, if you hit a dead end just pick another song out of your bag and start again. So what have you guys been up to this summer? We're getting into review season, with programs less than 3 months away! I'm excited to post some fun ideas for you, so stay tuned! Sorry it has taken me so long to get this flip chart posted. This one actually has A LOT more words than I usually put on flip charts (meaning most of the words are on this one). 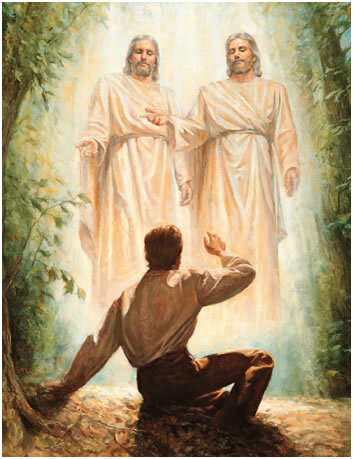 Because of the sacred nature of the lyrics, and the references to Heavenly Father and Jesus Christ, I didn't want to use symbols or other visual hints. The pictures are fairly repetitive, but I feel like it is okay in this case. I hope you find it useful - it may be pretty much the same as others you have found! Have a great time with this song...it is one of my favorites! For many of you, the title of this post will have no relevance - you have totally "got" this calling: you have the kids eating out of your hand every week, they love everything you do, and when they see you in the halls or the grocery store or in the carpool line they spontaneously burst into angelic primary song singing splendor. But for some of you others, it kind of stings a little bit because you have actually felt this once or twice, or maybe even all the time. Before I get any further into this post, I want to reiterate that these musings are only my opinions and are based on my own experiences. Of course I am not implying that any of you are lousy choristers, because that is absolutely the furthest thing from the truth. I guarantee it. The fact that you accepted this calling proves that you have the stuff it takes to be great at what you do. So, this post is to help you maybe identify what the problems might be (if there even are any), and a few ideas on ways to change your image, so to speak. So here goes. Reason they might not be that into you #1: They're bored. I am not a huge fan of elaborate singing times. Just peruse my archives and they will prove that. Simple is really good almost all of the time. However, it is really easy to slip into a rut of easiness. Please don't think that simple = easy all the time. Planning a successful singing time takes time and effort each week - don't get stuck in the "oh, I guess I have to do singing time today...let's see, what do I have in my church bag that we can play hot/cold with..." I know that happens sometimes, trust me - I've been there. But prayerfully and carefully considering what those kids need is a time-consuming process. One thing I will tell you that I cannot stress enough...just because they're bored, that doesn't mean you're boring! See how I put that in red so you would actually read it?! Here are some ways to combat boredom. 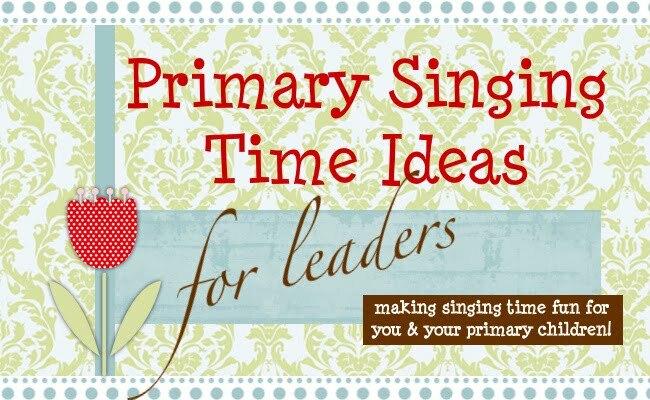 -Use a singing time schedule. You don't have to use the one that I made, but find one that works for you. ---Stagger your birthday and welcome songs so you don't sing the same ones every week. -Use a wiggle worm jar. -Don't take the program songs so seriously that you forget that there are hundreds of other killer songs out there that you can spend time teaching. -Don't be afraid to deviate from the plan - if things are just going off track and you're losing them turn things back on them. "I can see that we are in the mood for something else - what do you guys think would be fun?" or "You know what? I'm bored. Are you bored? I'm bored. I think we need to switch gears. How about we do a little bit of stretching...then we'll sing Suzy's favorite song. Then how about we try this again?" Reason they might not be that into you #2: They smell blood. And they are starving, chorister-eating animals. Are you scared? Shy? So far out of your comfort zone that you're searching for your 72-hour kit? Are you overwhelmed because your primary is so big it has a nose-bleed section? Oh, you can't sing? And you stopped being creative in kindergarten? And the last chorister was the best EVER and you'll never live up to her? And all of the adults are staring at you and judging you and uploading videos of you doing Head Shoulders Knees and Toes onto Facebook? Okay, so you're scared. I get it. I have mentioned in a few posts now about my exponential use of deodorant and anti-diarrheal medication during those first couple of months. We all get it - there are a lot of things to be afraid of, but you have to gird up your loins, people. If the kids smell fear, they will exploit it. It's just the nature of children (no, children are not inherently evil, they are just really good at finding a weakness and never letting you live it down. and that's a true story, in my opinion!). Be assertive. Set rules and follow through on them. Expect good behavior. Remember - they might be the carnivores, but you control the food source. Show 'em who's boss! And don't forget - you can't have fear and faith. Reason they might not be that into you #3: They're too cool for singing time. Here are some thoughts on boys. Many of those ideas can be applied to girls and younger kids, too. If you have one or two or several kids that just flat out refuse to sing, maybe give them a break. Enlist one of them to be your helper for the week or month. Get them involved and you might see a difference. Sometimes just separating problem pairs can work wonders. There is no reason that children can't be paired up with different classes or ages. If Bobby and Dave won't sing when they're together, then Bobby stands up at the front picking helpers and Dave gets to sit with the Sunbeams and help them learn the song. Think outside the box and try to figure out how to reach them. And it's okay that they're growing up or feeling insecure - it happened to all of us. If they're being downright rude, involve the presidency, teachers, and/or parents. Reason they might not be that into you #4: They're tired/hungry/hot/cold/excited/stressed/miss their mom/etc. Sometimes some things are just out of your control. Aside from setting up a buffet of peanut butter sandwiches and singing them to sleep, there just might be nothing you can do. On those days when things are just out of control, throw caution to the wind and sing fun songs. There's always next week! When I mention stress, that is a very real thing for some of these kids. If they are feeling pressured to learn songs and stick to a schedule, it takes the fun right out of it. Don't ever let them feel like they are not meeting expectations. Their only job is to have fun and learn a few things along the way. You're a facilitator, not a headmistress! Can you think of any other reasons that kids may not be that into singing time? How do you overcome the most challenging days? Here are a couple of issues that some of our fellow choristers are having...what advice do you have? "I have a few kids that get so mad when they aren't chosen to help every single time. If another child gets chosen twice they interrupt the song and walk up to tell me they should have another turn also. I tell them I won't pick the kids that disrupt me. Then they stalk off and stop participating." "I have a few teachers that do not enjoy their calling. They sit in the back and roll their eyes at me all sharing time. There is one that always corrects my mistakes and makes suggestions on games etc. I'm not sure if I should include them more with my review games or just keep pretending they don't exist." "What do you do when the kids are starting to get out of control (especially the new sunbeams)?"